I'll be away for the next ten days. When I return to blogging it won't be about the Syrian War. Erdogan said Turkey will continue to buy natural gas from Iran in line with its long-term supply contract despite Trump’s threats to punish countries doing business with Iran. “We need to be realistic ... Am I supposed to let people freeze in winter? ...Nobody should be offended. How can I heat my people’s homes if we stop purchasing Iran’s natural gas?,” he said. Another highlight from the interview: Erdogan said that the fate of American pastor Andrew Brunson, under detention in Turkey on terrorism charges, will rest with the "independent" Turkish judiciary system and that the next hearing is on October 12. In another highlight he said it was impossible for Syrian peace efforts to continue with President Bashar al-Assad in power. In Veiled Swipe at US, Erdogan Blasts "Countries Trying to Create Chaos"
Turkish-US relations have reached a new low in recent weeks amid back and forth sanctions against officials, a tariff war sparked by US restrictions on Turkish steel and aluminum and a drop in the value of the lira, which President Recep Tayyip Erdogan has pinned on a "series of negative statements" by Washington. "None of us can remain silent to the arbitrary cancellation of commercial agreements, the spreading prevalence of protectionism and the use of economic sanctions as weapons," Erdogan said, speaking before the United Nations General Assembly on Tuesday. "We are in favor of solving our problems through conducting a constructive dialogue on equal terms," Erdogan added. In a veiled attack presumably aimed at Washington, Erdogan pointed to attempts by some countries to "create chaos" in the world. "It is very easy to create chaos but it's difficult to reestablish order, and today some countries are persistently trying to create chaos," the Turkish president lamented. Referencing Turkish-US tensions over Washington's military support for Syria's Kurdish militia, whom Ankara says are affiliated with Kurdish separatists in Turkey, Erdogan warned the US of the consequences of this type of policy. "Those who equip terrorists with tens of thousands of trucks and thousands of cargo planes loaded with arms for the sake of their tactical interests will most definitely feel sorrow in the future," he said. Erdogan also directed his criticism toward the UN itself, saying the body risks becoming an organization with a "reputation for failure" and that it had "moved away from the capacity to meet the expectations of humanity through peace and welfare." The UN, he said, needs to be restructured to better accommodate the interests of its non-Security Council members. President Erdogan and President Donald Trump reportedly held a brief "on the go" meeting on the sidelines of Tuesday's General Assembly meeting, Turkey's NTV broadcaster reported. Earlier, Turkish media denied that Erdogan had demonstrably left the room of the General Assembly when President Trump began to speak, saying his leaving was connected to his going into another room to prepare for his own speech. Relations between Ankara and Washington began a steady decline in the aftermath of the July 2016 coup attempt. The US has persistently refused to extradite Islamic cleric Fethullah Gulen, who resides in Pennsylvania and whom Turkey holds responsible for the failed coup. Ties have been further strained by Turkey's detention of US pastor Andrew Brunson, whom Ankara accuses of having ties to Gulen. The US has slapped sanctions on several Turkish officials over Brunson's detention, with Ankara responding in kind. Relations have also been affected by Turkey's purchase of Russia's S-400 air defense system, which Washington has intensely criticized. Diverging interests in Syria and President Trump's protectionist economic and trade policy have also affected ties between the NATO allies. "US Pulling Some Missile-Defense Systems From Middle East"
"Some months after Mr. Mattis arrived at the Pentagon last year, he informed Gen. Joseph Votel, the head of Central Command, or Centcom, as it is known, that it was time to shrink the number of forces and capabilities in the Middle East and South Asia so they could be realigned to counter global competitors Russia and particularly China." WASHINGTON—The Pentagon is removing U.S. missile systems from the Middle East next month, U.S. military officials said, a move that will leave American allies with fewer defenses as the White House ramps up its rhetoric against what it says are threats posed by Iran. Defense Secretary Jim Mattis is pulling four Patriot missile systems out of Jordan, Kuwait and Bahrain next month in a realignment of forces and capabilities as the military steps up its focus on threats from China and Russia, according to multiple senior military officials. The relocation of the systems out of the Middle East, which hasn’t been previously disclosed, is one of the most tangible signs of the Pentagon’s new focus on threats from Russia and China and away from the long-running conflicts in the Middle East and Afghanistan. Two Patriot missile systems will be redeployed from Kuwait, and one each from Jordan and Bahrain, officials said. Patriots are mobile missile systems capable of shooting down missiles and planes. The four systems have been taken offline and will be redeployed by next month, officials said. There are no plans for any of them to be replaced, and they are being returned to the U.S. for refurbishing and upgrades, an official said. Although some Patriot systems will remain in the region, officials said the removal of the four batteries amounts to a major drawdown of the capability Patriots provide in the region. The missile systems have been used for mostly defensive purposes, to protect not only U.S. bases and installations in those countries but also as an effective defense for allies. Their removal comes as the White House intensifies its rhetoric against Iran and amid an increasingly complex battlefield in Syria. Bahrain is home to a large naval base and the Pentagon’s Fifth Fleet, which conducts operations around the Persian Gulf and Middle East. Thousands of American military personnel are based in Kuwait, and special forces and other forces operate inside Jordan. The Pentagon routinely declines to provide more specific numbers for troop deployments overseas, officials said. U.S. Central Command officials wouldn’t comment on the moves. Patriot systems provide what is known as “point defense,” meaning they provide defensive capabilities for a smaller radius to shoot down aircraft. The newer version of the Patriot, the PAC-3, can shoot down missiles. With a range of only dozens of miles, they are typically located near the base or location they are intended to protect, officials said. Patriot systems owned by Saudi Arabia are used there frequently, for example, regularly shooting down missiles fired from Yemen, where a civil war has raged since 2015. American allies in the region have depended on such missile-defense systems for years. The systems play both a real and symbolic role in countering the threat posed by nearby Iran. Bahrain, in particular, has grown concerned about Iran-backed groups and other Shiite militias destabilizing the small island nation. Some months after Mr. Mattis arrived at the Pentagon last year, he informed Gen. Joseph Votel, the head of Central Command, or Centcom, as it is known, that it was time to shrink the number of forces and capabilities in the Middle East and South Asia so they could be realigned to counter global competitors Russia and particularly China. At the same time, Patriot systems in the Gulf may not serve the purpose they once did, said Anthony Cordesman, senior fellow at the Center for Strategic and International Studies, a think tank in Washington, D.C. That is in part because Iran lacks the kind of missile capability required to level precision attacks. In addition, if the Patriot deployments to the Gulf region were intended mainly for air defenses, that threat simply doesn’t exist as it once did, he said. Iran now is no match for U.S. allies in the Gulf region, which have superior air forces. “The truth of the matter is that if Iran lets loose with semi-guided missiles, they’re doing it against air forces that are really well-equipped to strike back,” Mr. Cordesman said. September 25, 2018 DEBKAfile Exclusive: The Russian Krasukha-4 mobile electronic warfare system, which can neutralize spy satellites and ground-and airborne radars and damage enemy EW [electronic warfare], landed in Syria on Tuesday, Sept. 25. It was unloaded at the Russian Khmeimim Air Base near Latakia, one day after Russian Defense Minister Gen. Sergei Shoigu pledged systems for jamming satellite navigation and the on-board radars and communication systems of combat aircraft attacking Syria, in punishment for Israel’s alleged role in downing the Russian IL-20 spy plane. Israel’s military has focused its response to Russia’s hostile measures on the eight S-300 aid defense batteries promised the Syrian army in the coming weeks. Little mention has been made by Israeli spokesmen of the electronic warfare duel awaiting the IDF with Russia. Israel’s military and air force know about the Krasukha-4 but have never met it in action. However, it is well known to the Americans. Prime Minister Binyamin Netanyahu is expected to ask Donald Trump when they meet at the UN General Assembly on Wednesday to offer Vladimir Putin some incentive for removing the EW jamming threat. However, there is scarcely any chance of such a trade-off. Our sources believe that Putin will hold out for nothing less than the withdrawal of US troops from Syria, to which President Trump will not agree. "God didn’t build this system. I don’t remember him at any of the bloody project meetings." "No one would willingly enter into such a mob, but crowds of the unwilling are compacted by the progression of the masses behind them." 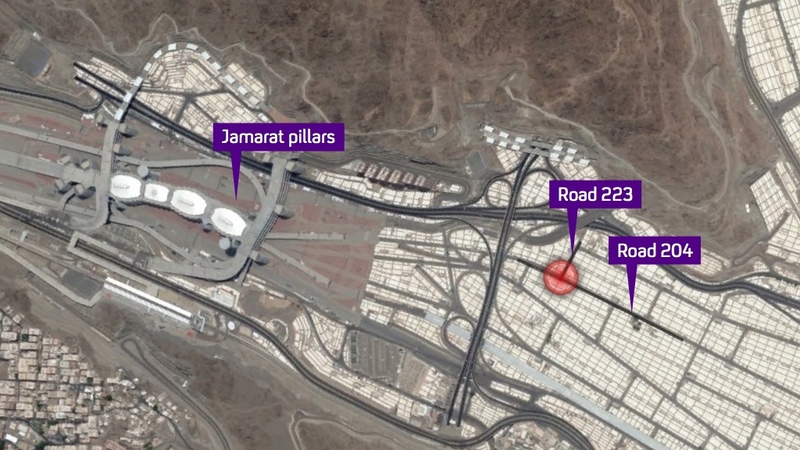 What really happened in Mina three years and a day ago? The answer includes a close look at the way Saudi leaders think, a look at the science of crowd control, and an explanation of exactly how crowds can kill. Riveting, unforgettable journalism makes the subject material bearable to read and transforms it into a kind of morality tale for our times. William Langewiesche's The 10-Minute Mecca Stampede That Made History, published in February by Vanity Fair, also introduces the reader to a Scotsman both reasonable and intellectually brilliant, who for years wrestled with the hopeless task of getting Saudi officials to be sensible about crowd control systems at the Hajj. BEIRUT, LEBANON (7:00 P.M.) – The Russian military has established a no-fly zone over the Latakia province of western Syria, Russian Senator and former Air Force commander Viktor Bondarev stated on Monday. “The establishment of a no-fly zone over the Russian military base in Latakia will prevent a repeat of the IL-20 aircraft tragedy,” Bondarev told the Russian Federation’s Council this evening. YIKES!! 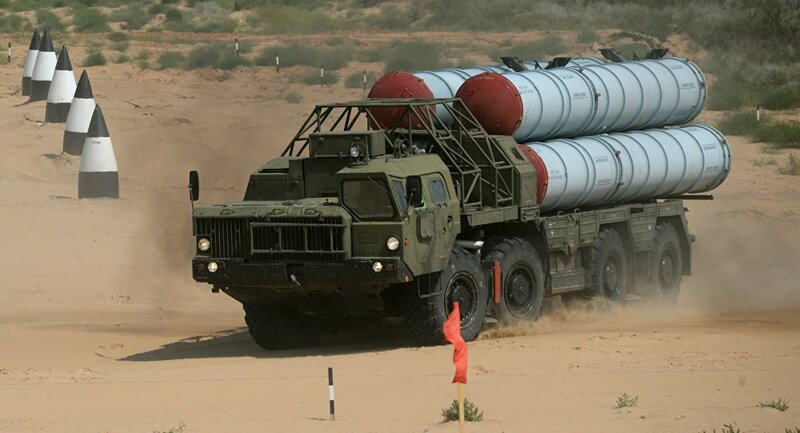 Moscow to deliver S-300 air defense systems to Syria within 2 weeks! Russia to Jam Navigation, Radars of Planes Attacking Syria -- Measures to "Cool hotheads"
The Russian Defense Ministry promised to take "adequate" measures to boost the security of Russian servicemen after the Israeli Air Force used the Russian Il-20 as a shield while attacking targets in Syria, which led to the downing of the aircraft by Syrian air defenses last week. During a Monday briefing, Russian Defense Minister Sergei Shoigu said Moscow will deliver the S-300 air defense systems to Syria within two weeks as an adequate response to Israel's role in the downing of the Russian Il-20 plane last week. "The Syrian Armed Forces will be supplied with the advanced S-300 air defense missile system within two weeks. It is capable of intercepting air threats at a range of more than 250 kilometers and simultaneously hitting several aerial targets," Shoigu said, adding that the S-300 would significantly boost Syria's combat capabilities. Furthermore, Shoigu emphasized that command posts of the Syrian air defense forces would be equipped with automatic equipment that would ensure the identification of Russian aircraft by Syrian air defenses. "Command posts of the Syrian troops and military air defense units will be equipped with automatic control system, which have been supplied only to the Russian Armed Forces. This will ensure the centralized management of all Syrian air defense forces and facilities, monitoring of the situation in the airspace and prompt target designation. Most importantly, it will ensure identification of all Russian aircraft by the Syrian air defense forces," Shoigu said. The minister stated that Russia would jam satellite navigation, on-board radars and communication systems of combat aviation over the waters of the Mediterranean Sea. "Russia will jam satellite navigation, on-board radars and communication systems of combat aircraft, which attack targets in the Syrian territory, in the regions over the waters of the Mediterranean Sea bordering with Syria," Shoigu said. He proceeded to say that Moscow had halted the delivery of S-300s to Damascus back in 2013 at Israel's request, but the situation around the delivery has changed "through no fault of Russia." According to the minister, an Israeli F-16 jet used the Russian Il-20 aircraft as a shield, which resulted in the downing of the plane by Syrian air defense systems. "This forced us to take an adequate response aimed at improving the security of Russian troops performing tasks to combat international terrorism in Syria," he said at the briefing. Shoigu further stressed that if measures taken by Russia following the Il-20 crash over the Mediterranean fail to cool "hotheads," "we will have to respond in line with the situation." "We are convinced that the implementation of these measures will cool hotheads and prevent ill-considered actions threatening our servicemen. Otherwise we will have to respond in line with the current situation," Shoigu stated. Meanwhile, the Israeli Embassy in Russia has so far refused to comment on the statements made by Shoigu. Addressing the possibility of high-level contacts between Russia and Israel following the announcement by the defense minister, Kremlin spokesman Dmitry Peskov said that Moscow would inform if there were any, adding that the decision was not directed at any third country. Earlier this week, the Russian Defense Ministry accused the Israeli Air Force of providing misleading information about the area of the planned airstrikes on Syrian targets, thereby violating its agreement with Russia. Shortly after that, Israeli Defense Minister Avigdor Lieberman stated that Tel Aviv would continue its military operation in Syria despite the Il-20 incident. “We won’t let Syria be turned into a main Iranian military facility against the Israeli state. We continue to act… and we have all the necessary means and opportunities to this end,” he said. On September 17, the Russian Il-20 aircraft with 15 servicemen on board vanished from radar screens near Hmeymim Airbase in Syria. The Russian Ministry of Defense stated that the disappearance coincided with an attack by four Israeli F-16 military jets on Syrian targets in the province of Latakia. The ministry stressed that the Israeli Air Force used the Russian reconnaissance plane as a cover, thus subjecting it to an attack by the Syrian air defenses, with a Syrian S-200 surface-to-air missile hitting the Russian Il-20 while trying to repel Israeli strikes. Israel, for its part, insisted that Syria was responsible for the downing and that by the time the plane was destroyed, the four F-16 were already on their way home. PLUS: "WATCH 3D Reconstruction of Il-20 Downing in Syria, Released by Russian MoD"
"US-Backed Militia Arrests 1,200 Civilians Under Forced Recruitment Plan in NE Syria"
"The SDF men are on alert as their measure has [further] enraged civilians in Northeastern Syria." TEHRAN (FNA)- The US-backed Syrian Democratic Forces (SDF), in an unprecedentedly large arrest operation in Hasaka and Raqqa provinces, on Sunday captured 1,200 young men under a forced recruitment plan. A local source said that the SDF has detained 800 of the captured young men in Hassan Darwish base and sent 400 more to a base in Tal Abyadh. The source went on to say that the SDF men are on alert as their measure has enraged civilians in Northeastern Syria. On Saturday, the SDF opened fire at people in the village of al-Khalediyah near the town of Tal Abyadh in Northern Raqqa, killing a villager. The clashes in al-Khalediyah came after the SDF arrested young men under the forced recruitment plan. In the meantime the SDF arrested several young men in the town of Tabaqa in Western Raqqa to force them to join the militias. A number of people in al-Savameh square in Raqqa city were arrested by the SDF for an alleged attack on the militia's base. Also, a gunmen of the SDF was killed in a bomb blast in the small town of al-Karamah in Eastern Raqqa, field sources said, adding that the body of an SDF militia member has also been discovered in Raqqa city amid intensified attacks by unknown raiders against the militia. "Turkish Army's Elite Troops Arrive in Northern Syria"
TEHRAN (FNA)- The Turkish Army sent tens of its elite forces to the Northwestern province of Idlib on Sunday few days after the endorsement of the Sochi agreement between Ankara and Moscow. A battalion of the Turkish commandos crossed the Tonkli province border with Northwestern Syria and entered Idlib province. The elite forces' dispatch to Idlib is allegedly aimed at reinvigoration of truce-monitoring points in the Northwestern province. In the meantime field sources in Northern Syria reported that a new convoy of the Turkish troops, including elite forces, personnel-carrier vehicles and canons have been dispatched to Rayhanli region in Hatay province near the border with Western Idlib. On Tuesday, Turkish Foreign Minister Mevlut Cavusoglu spoke in favor of deploying additional troops to the Syrian city of Idlib after Russian President Vladimir Putin and his Turkish counterpart Recep Tayyip Erdogan agreed to create a demilitarized zone along the contact line between the armed opposition and government troops in Idlib by October 15. "We will have 12 observation points in Idlib. However, we need to send additional troops there," the foreign minister stated at a press conference in Ankara broadcasted by the NTV television channel. Russia and Turkey will carry out coordinated patrols, with drones also taking part, Cavusoglu said. "Terrorist groups will leave, heavy weapons will be withdrawn, civilians and moderate opposition with a small number of light weapons will remain. Turkey and Russia will jointly control this process. We will need to deploy additional military troops to Idlib," Cavusoglu added. Before the talks, Ankara reportedly sent reinforcement troops to Idlib province, increasing its presence in the country. Idlib is the last remaining stronghold of anti-government militants and al-Qaeda-linked terror groups in Syria. Gulf Oil Producers have a mind of their own. And after all we've done for them. This week Trump labeled OPEC a “monopoly” on Twitter, accusing the organization of wanting to push oil prices “higher and higher.” He also took the opportunity to remind Middle East allies that they would “not be safe for very long” without US protection. A possible boost in oil production was not discussed at a recent meeting between OPEC and other major oil producing nations, following earlier demands by US President Donald Trump that oil output be increased to bring prices down. Hosted in Algiers, Sunday’s meeting was a gathering of the Joint Ministerial Monitoring Committee (JMMC) of members from the Organization of the Petroleum Exporting Countries (OPEC) and non-OPEC oil producing countries, including Russia. When asked if they discussed the further boost in production, Oman’s Oil and Gas Minister Mohammed Rumhi abruptly told reporters “No” after the meeting. Instead, the meeting agreed to stick to the previously agreed output, with Kuwait’s Oil Minister Bakheet Rashidi saying the JMMC will fully conform with the Vienna deal, at least until the next meeting in November and December. "We agreed to target 100 percent conformity for the next coming two months until we meet again at the next JMMC,” Rashidi said. Agreed in June of this year, the Vienna deal saw major oil producers agree to boost crude oil output by one million barrels-per-day, as part of a compromise deal to ease oil prices and tackle supply issues caused by a fall in output from Iran and Venezuela. Trump however, wants output increased by as much as two million barrels per day, as oil prices continue to rise in the US amid high consumer demand. Iran is expected to lose some 1.4 million barrels-per-day of supply as US sanctions go into force November 5, while Venezuela and Libya also present supply risks, pushing up cost, according to market analytics firm S&P Global. Rather than OPEC controlling prices, analysts have instead blamed Trump’s latest round of sanctions on OPEC-member Iran for driving up the price, as supply from Tehran decreased. Ahead of Sunday’s meeting, Saudi Energy Minister Khalid al Falih maintained, while speaking to reporters, that the “markets are adequately supplied,” insisting that OPEC does not control oil prices. Falih added that, to justify an increase of two million barrels-per-day, demand would need to increase by 1.5 million per day, something he didn’t think was likely. Russian Energy Minister Alexander Novak said that no immediate output increase was necessary but that Russian production could be increased by several hundred thousand barrels per day, if needed. Syrian government troops are on course to mopping up the last of the entrenched Daesh* [Islamic State] militants in Al-Suwayda Governorate, as they have encircled the northwestern Idlib Governorate, the last remaining stronghold of militant and terror groups in the country. The terrorists are holed up on extinct volcanoes in the Tulul al-Safa area in southwestern Syria, and have been effectively cut off from their supplies of water as Syrian government forces continue their advance on the eastern part of Al-Suwayda Desert, a Sputnik correspondent reported. Earlier, the army severed Daesh* terrorists supply lines, killing snipers guarding approaches to their hideouts and bombing out their main food and ammunition depots. Just as President Assad’s forces tighten the noose around the besieged jihadists, the terrorists have lost access to the last remaining source of drinking water following days of intense fighting for water reservoirs near Qabar Sheikh Hussein, which are currently under the government forces’ control. Meanwhile, rocky terrain and frozen lava prevent tanks and artillery from approaching the terrorists' positions. The Syrian Air Force is conducting a series of massive airstrikes clearing the way for the advancing infantry on the ground. Last month, the Russian General Staff reported that the Syrian government had successfully restored its control over the southern provinces of Al-Suwayda, Daara and Quneitra. International focus has since shifted from south Syria to Idlib province in the country's north. Idlib is now the last major stronghold for anti-government forces, which is dominated by a motley collection of jihadist militants, including units from the Nusra Front*. Downing of IL-20: Last week Israel gave their side of the story. Today Russia gave theirs. TASS has posted their report on the Russian MoD findings. Odd; I can't find DEBKAfile's very detailed report last week on the Israeli findings presented to the Russians in Moscow. But here's a report on the findings from The Times of Israel, headlined Israel: Russia accepts our take on Syrian downing of plane, coordination goes on: "We proved Syrians' Reckless Anti-air Fire Was Direct Cause." Actually, the Russians accepted the Israeli report, in the manner of accepting evidence, after making it clear they were still conducting a forensic investigation of the incident. The investigation included minute-by-minute review of radar data. Today the Russian Ministry of Defense released their findings at a press briefing (15 minute video with English subtitles and English transcript at Russian MoD website. The video is also posted to YouTube. The Israeli Air Force misled Russia by providing wrong information about the area of the planned air strikes in Syria on September 17, thus preventing the Russian Il-20 from moving to a safe zone, Russian Defense Ministry spokesman Maj. Gen. Igor Konashenkov said on Sunday. That accusation was just for starters. RT's headline for its report on the findings is blunter than Sputnik's: Criminal negligence’ or disregard to Russia-Israel ties: MoD details chronology of Il-20 downing. TASS has not yet released their report on the findings. Moon of Alabama has posted its report on the findings. My condolences to the people of Iran for yesterday's terrorist attack in Ahvaz, and I pray for the full recovery of the wounded. The attack killed by early estimates 29 and wounded 60. On the same day the Times of India announced that for the second year in a row India is the third largest recipient of terrorist attacks after Iraq and Afghanistan. This according to data released by the U.S. Department of State. Maoists carried out 53 percent of the attacks. Yet there have been so many terrorist attacks in so many countries since 9/211 that I rarely mention specific ones anymore. Just this year in Afghanistan, in Kabul alone, there were at Wikipedia's last count 18 terrorist attacks. So it's for three specific reasons I've mentioned the one in Iran. First, because I kept seeing headlines that read, 'Attack on military parade.' Excuse me, does the wounded child in the photo look as if he'd been marching in a military parade? It was an attack during a military parade. The four perps didn't care who they shot; they just fired in the direction of the marchers on the street, which was lined with civilian onlookers, and/or at a reviewing stand filled with officials watching the parade. Second, there's been so much inflamed rhetoric about Iran in recent months from my government that in the immediate wake of the attack, top Iranian officials fingered the U.S. as the prime suspect behind the attacks no matter who carried them out or why. The officials had a good reason to leap to conclusions. The attack happened the day after U.S. Secretary of State Mike Pompeo threatened Iran with direct retaliation if there were any more attacks on U.S. interests in Iraq. So this is the Red Line in Syria redux. In today's uh, charged geopolitical atmosphere, anyone who hopes to provoke an American attack on Iranian sites just has to stage an attack on a U.S. site in Iraq -- or anywhere else in the Middle East for that matter. ... Hakim and his colleagues are part of a new generation of fighters. They aren’t like the militia their fathers fought in during the first Chechen war, nor like the fighters from the Free Syrian Army in the first years of the civil war in Syria. Those men dressed in whatever clothing they had at hand, not Western sports brands. Their weapons were often outdated, heavily used surplus equipment discarded by a professional army. For those men, war was a temporary condition. They defended their families, homes, towns, and villages, hoping that when things died down, they would return to their former lives. These young people, in their 20s and 30s, are already professionals. They’ve grown up with war and don’t have any other life to go back to, nor do they expect their lives will ever change. They are largely better equipped than their fathers. Most spend their savings on the best in wartime survival equipment, clothing, and weapons. They fight frequently on foreign soil. But the Syrian war revealed that many of these men are not only freelancers, they're mercenaries -- contractors. Ones who use terrorism simply as one of the tools of their trade. While that observation might not apply to Abdul Hakim -- he claims that he's in it for the jihad and doesn't attack "women, children, or the elderly" -- terrorism is now a profession. As such, the targets are as fungible as the employers and their motives. Given that it's the employers who established the profession of terrorism, any chance of breaking it up rests with them. Would officially branding at least a quarter of the governments in the United Nations "State Sponsors of Terrorism" help in this regard? * There is no such professional association -- at least I hope not. Has NATO noticed the Muslim Brotherhood now has a seat at the table? For that matter, has Israel's defense establishment noticed? I'd say no on both counts, else Netanyahu would have Assad on speed dial and seeing to it that a basket of Israeli fruit is delivered to Syria's presidential palace every morning. Nevermind, it'll all be clear in the end, although here's hoping NATO notices before then that Neo-Ottoman is Muslim Brotherhood spelled backward. I don't think it's occurred to SouthFront either that the Brothers are now sitting in Brussels, but SF has used part of their their monthly shoestring budget to produce a helpful 35 minute video analysis, published yesterday and titled "Turkish Policy." The video is also available at SouthFront's YouTube channel until YouTube suspends SouthFront again for brushing their teeth the wrong way. The video transcript, only available at the SouthFront site, is subtitled "Turkish Strategy in Syria: Military Operations, Proxies and Idlib Issue." Usually I prefer to read transcripts if they're available but in this case I found the video visuals, in total, to be an aid to understanding that Erdogan isn't just blustering. He is after a big chunk of Syria. From there, pretend you're a high-ranking member of the Muslim Brotherhood and look at a map of the Middle East. FEMA chief: :"The next 48-hours are extremely critical." NC governor: "There's too much going on." "Preliminary statistics from the National Oceanic and Atmospheric Administration showed Florence had the fourth-highest rainfall total of any hurricane to hit the U.S. mainland since 1950, with 35.94 inches (91.2 centimeters) at Elizabethtown, North Carolina. Harvey’s total of 60.58 inches (60.5 centimeters) last year in Texas is No. 1." -- from an Associated Press report. The worst of the situation for North Carolina, at least, is the number of rivers in the state that just couldn't take any more rain. Flooding in the wake of Hurricane Florence has been catastrophic in the hardest-hit areas and will continue for the next few days. For details here are two reports, one from AP, "Emergency crews throw supply lifeline to isolated Wilmington" published today; no timestamp, and a CNN report published today at 3:42 PM EDT, "Fear near Cape Fear rises with the river, and the death toll from Florence keeps growing." Fears of what could be the worst flooding in North Carolina's history led officials to order tens of thousands to evacuate, though it was not clear how many had fled or even could. You bet they're trying to provoke a war with Russia. "The attack on Latakia came just hours after Russia and Turkey negotiated a partial demilitarization of Idlib province"
"Israel notified Russia about Syrian op a minute before strike, it did not allow to take Il-20 to safe zone -Ministry"
A Russian military Il-20 aircraft with 14 service members on board went off the radar during an attack by four Israeli jets on Syria’s Latakia province, the Russian Defense Ministry said. Air traffic controllers at Khmeimim Airbase “lost contact” with the aircraft on Monday evening, during an attack by Israeli F-16 fighters on Latakia, said the MoD. The plane was 35km off the coast of Syria when it vanished. A total of 14 people were on board the plane at the time of the disappearance. A search and rescue mission is underway. The Ilyushin 20 (IL-20) surveillance turboprop plane is an Electronic Intelligence (ELINT) platform, equipped with a wide range of antennas, infrared and optical sensors. The aircraft's SLAR (Side-Looking Airborne Radar) and the plane's satellite link allows the Russian military to monitor Syrian skies in real time. An hour-long attack on Latakia began around 10pm local time, and targeted a power station as well as two facilities belonging to the Syrian military. Syrian officials said the attack was “foreign” and came “from the sea,” but could not initially confirm rumors that Israel was behind it. Seven people were injured in the attack, according to Syrian officials. While the Russian military said it recorded four F-16 Israeli jets over Syria at the time of the attack on Latakia, the IDF has refused to comment on the report. Despite the fact that Israel rarely acknowledges striking specific targets inside Syria, earlier this month the IDF admitted hitting at least 202 “Iranian targets” in the country. Overall, Israel has launched 792 bombs and missiles at Syria since 2017, arguing that the strikes were necessary to prevent Iran from setting up bases in the country in order to stage attacks against the Jewish state. As Israel continues to claim the right to intrude in Syria, despite repeated condemnations from Damascus, France had said that it will join the US-led campaign to strike Syria again if there are reports of chemical weapons use. Over the last few weeks, Moscow has been beating drums about a false-flag chemical attack that is being prepared by the notorious White Helmets and jihadists in Idlib province in order to frame government forces. Such a provocation, the Russian military argues, will be used to trigger a US-led attack against Damascus. The attack on Latakia came just hours after Russia and Turkey negotiated a partial demilitarization of Idlib province, which is the last remaining stronghold of anti-government militants, including the Al-Qaeda affiliate Hayat Tahrir al-Sham (also known as the Jabhat Al-Nusra). "An exclusive Grayzone investigative documentary film rips the cover off of the most sophisticated and expensive campaign of humanitarian interventionist propaganda in modern history." TEHRAN (FNA - September 17)- Heavy clashes are reported between the Syrian Democratic Forces (SDF) and civilians in the city of Raqqa again. Media sources in Raqqa said that the SDF forces fired at the residents of the district of al-Mashlab in Raqqa city, and wounded several people. Meantime, local sources disclosed that an SDF patrol was targeted by unknown assailants near Monir Habib school in Ramibeh district, killing one SDF fighter, who was also a former ISIL member, and injuring another one. In a relevant development last month, civilians in the Southeastern Deir Ezzur raided the positions of the US-backed SDF, destroying their checkpoints. The SDF opened fire at the people in the village of al-Sajar in Southeastern Deir Ezzur, injuring seven villagers. The villagers later set fire[s] at the SDF-run al-Sijan oilfield near al-Sajar, destroying the terrorists' checkpoints. In the meantime a field source pointed to intensified tensions in the SDF-held regions in Deir Ezzur, adding that two SDF militias were killed in a bomb blast near al-Tanak oilfield in Southeastern Deir Ezzur.